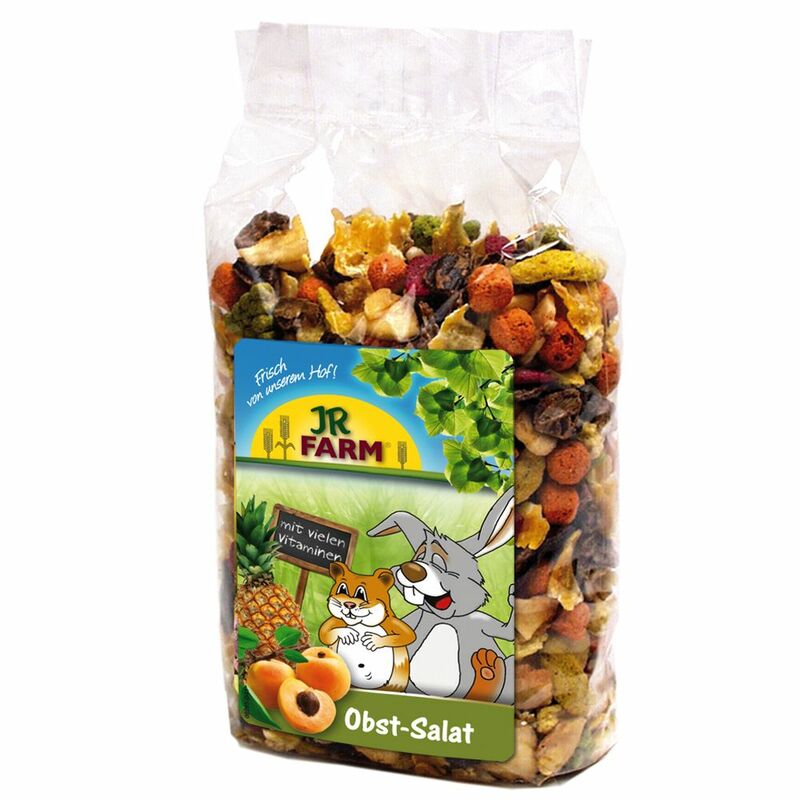 The JR Farm Fruit Salad will bring sunshine to your pet's food bowl. This food supplement makes a great treat for all small pets, except for degus. The exclusive mix with lots of top quality fruit from all over the world gives your furry friend plenty of important vitamins and ensures a balanced diet. The perfect snack if you'd like to get something really special for your pet!.